The FAQ experts answer questions on dryer vent cleaning here. Responding to consumer queries accurately! We also give you answers about air ducts and how fiberglass ducts are cleaned. Learn whether you can maintain the HVAC unit on your own or not and why. What are the cleaning requirements for fiberglass air ducts? Cleaning fiberglass air ducts, for most specialists at Air Duct Cleaning Reseda, is said to be easy and similar to how duct cleaning in other types of air ducts works. However, according to the EPA, if the fiberglass air ducts are affected by the growth of bacteria and molds, it is advisable to have them replaced. The EPA says that there are no approved cleaning methods that can sufficiently eliminate bacteria and molds from porous air duct materials like fiberglass. Where does duct condensation happen? Condensation can happen inside or on the external surface of the ducts. It depends on where the air is more humid and where the temperature is cooler. If the humid warm air inside the ducts stay long inside the ducts, and the ducts are exposed to cold temperature, the humid air condenses inside. On the other hand, if the air flowing through the ducts are cold and the environment is humid, water droplets or dews will start forming on the surface of the ducts. Why do I have to clean filters every so often? Filters are the ones that absorb all the dust, dirt, allergen, pollutant and other substances that may put your family’s health in danger. If filters stay unattended and unclean, the air that comes in your house become unsafe and unclean. Regular cleaning should be done in filters. You can wash it regularly and have it thoroughly cleaned every two years. Clean filters give you clean and safe air. Can I maintain the HVAC unit on my own? Air filter cleaning is easy since you can just wash them under running water but condenser unit cleaning, the inspection of all parts of the unit and probably HVAC unit repair are not tasks for people lacking the skills and equipment. 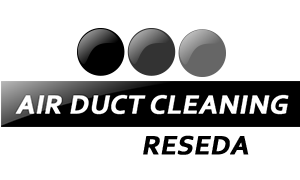 You can seek advice and assistance at Air Duct Cleaning Reseda. What are the different methods of cleaning an air duct? The most common methods of cleaning an air duct system are rotary brushing, air sweeping, and vacuuming. There are also newer and more modern techniques such as installing UV filters and using more advanced equipment. The newer techniques save more time and effort in performing air duct cleaning. Are thicker HVAC filters better? They are better at capturing harmful particles in the air. The thicker filters have a higher efficiency rating (MERV) all other things being equal. However, these filters also slow down the air circulation. As a result, they can cause the HVAC system to strain and to use more energy than it would normally need. That is why air filters should always be chosen in line with the capacity of the system they will be used for. How can mold grow in a duct system and what problems will it cause? Mold spores require a constant temperature, moisture and a food source to live and reproduce. Dirt and dust that pass through your air filters provide a good food source while your furnace and air conditioner maintain a comfortable temperature. Moisture is abundant whenever there are humid conditions in the environment.